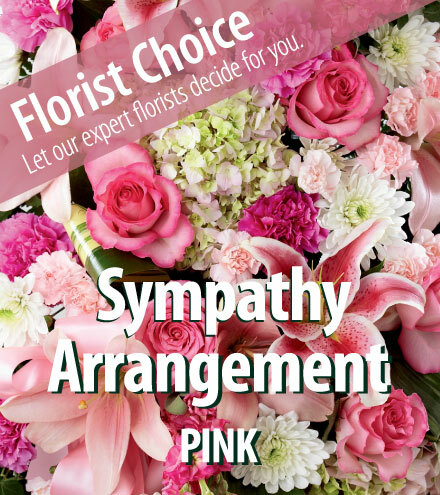 Express your sympathy and support perfectly with a beautifully hand-arranged spray. Created by our expert florists using only the freshest flowers of the season, this arrangement features beautiful flowers in shades of pink. An appropriate gift for family, friends and business associates to send directly to the funeral home. Floral colors and varieties will vary depending on local availability.